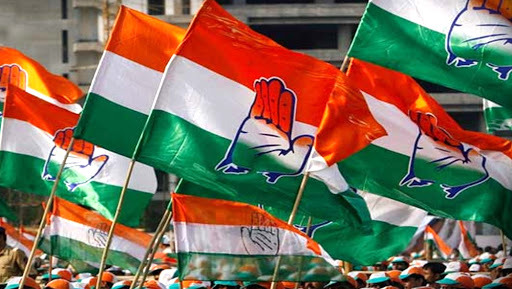 Bhubaneswar, April 11: In a major jolt to Odisha Congress, party spokesperson Sonali Sahoo quit on Thursday, expressing displeasure over ticket distribution for Assembly elections. Sahoo's exit comes two days after Pradesh Mahila Congress president Sumitra Jena resigned from the party, alleging irregularities in selection of candidates. Rahul Gandhi Death Threat: Green Laser Originated From Congress Photographer's Mobile Phone, Says MHA. Jena, who joined the ruling BJD, has accused Congress state unit president Niranjan Patnaik of discrimination against the women members of the party. Talking to reporters, Sahoo, who was a ticket aspirant from Khurda Assembly seat, said she has sent her resignation letter to Patnaik. "I quit the party as I was not happy with the way tickets were distributed for the state polls," she added. With two women leaders quitting the Congress over ticket alottment, the party's state unit chief clarified Thursday that he "did not recommend any candidate for the Lok Sabha or the Assembly polls". Sonia Gandhi Files Nomination From Raebareli in Uttar Pradesh For Lok Sabha Elections 2019, Says Narendra Modi Not Invincible. "It (candidate selection) is the decision of the party, not mine. The Congress has given the ticket to 83 debutants this time. The number of aspirants is much higher than the total number of seats. Therefore, resentment over ticket allotment is quite obvious," Patnaik said. Simultaneous Assembly and Lok Sabha elections are being held in Odisha in four phases.